Cambridgeshire police have made street violence with weapons one of its force priorities. Serious Street Based Violence (SSBV) has been introduced as a new force priority alongside child abuse, child exploitation, burglary, action against hate, serious sexual offences, modern slavery and domestic abuse. SSBV focuses on violence that is specifically street based; it does not include all violence and does not cover offending linked to domestic abuse or the night-time economy. A dedicated team of officers are now working to proactively tackle SSBV across Cambridgeshire, with additional focus on county lines and drug markets which have links to violent crime. Officers will also be focusing on early intervention, with the aim of preventing young people from carrying weapons and becoming victims of criminal exploitation. Superintendent Jon Hutchinson said: “There is evidence that weapon carrying in Cambridgeshire is on the increase. “Feedback to us from neighbourhood teams and partner agencies shows a far higher tendency for young people to carry weapons in the county - and the use of, or threat of violence, is inherent. 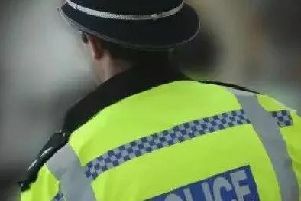 “Despite this, and despite widespread recent media coverage of knife crime nationally, Cambridgeshire remains an incredibly safe place to live in comparison to the national picture and we do not want to cause unnecessary concern in the county. “There have been some heartbreaking cases in Cambridgeshire over the last few years where young men have lost their lives because of a dispute over drugs or because their attacker decided to carry a weapon. To report SSBV call police on 101 or visit www.cambs.police.uk/report. Always call 999 in an emergency.